With the purchase of any new HVAC unit. Don't miss this great offer! 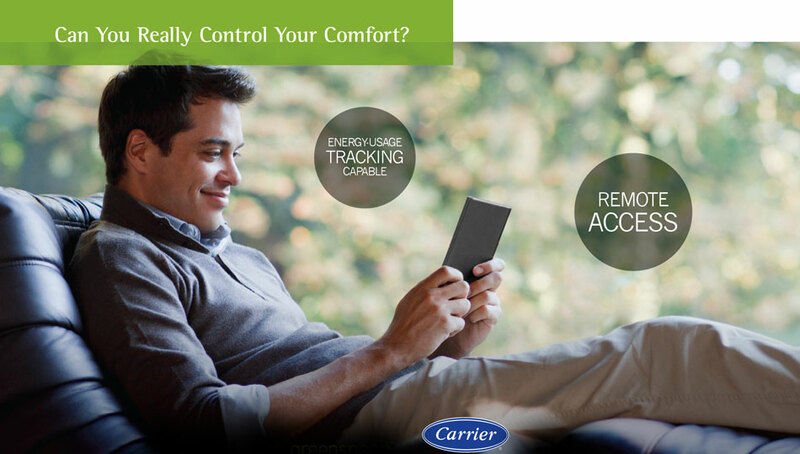 Rebates up to $1,650 on Qualifying Systems by Carrier. Call 731-393-4013 for more information. 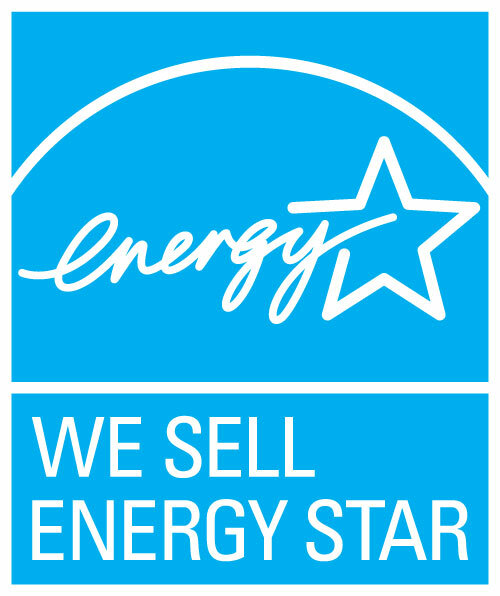 Our energy-efficient systems will lower your utility bills! 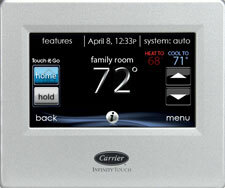 We offer state-of-the-art HVAC gear, like Wi-Fi thermostats! Will your home be ready when cold days return to McKenzie and Camden? Contact the team at Central Refrigeration for annual heating service and maintenance. 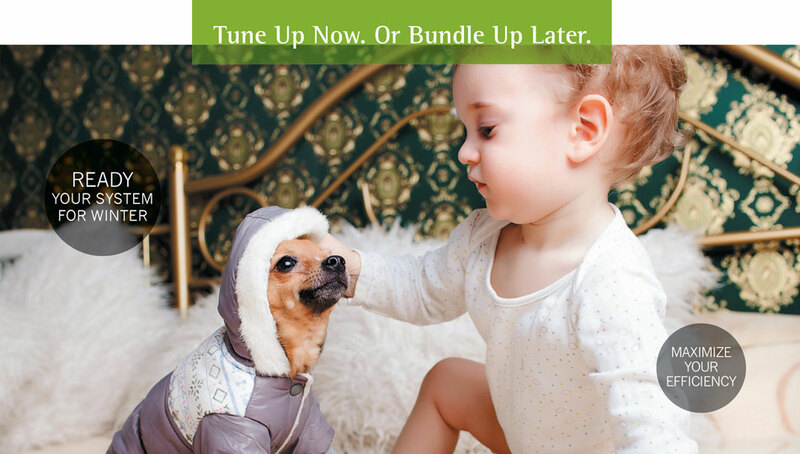 Preventative service can stop future breakdowns and reduce costly repairs, so you stay warm all winter long. Our technicians have the knowledge and expertise to ensure your heating system is functioning properly and efficiently. We handle a range of heating systems, from residential furnaces to heat pumps and light commercial heaters. We also install WiFi thermostats, ductwork and other IAQ solutions so you can enjoy healthy, reliable indoor comfort. Contact our team today to schedule heating system service, repair or installation in McKenzie and Camden, TN. 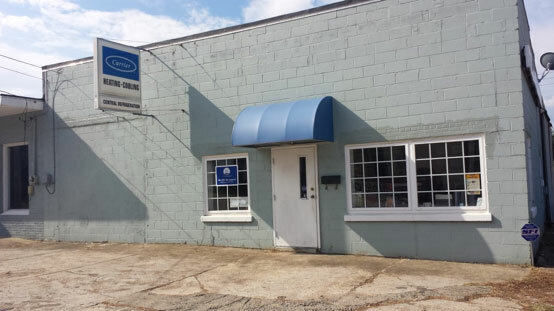 For optimum cooling in Camden and McKenzie, TN, call the A/C experts at Central Refrigeration. 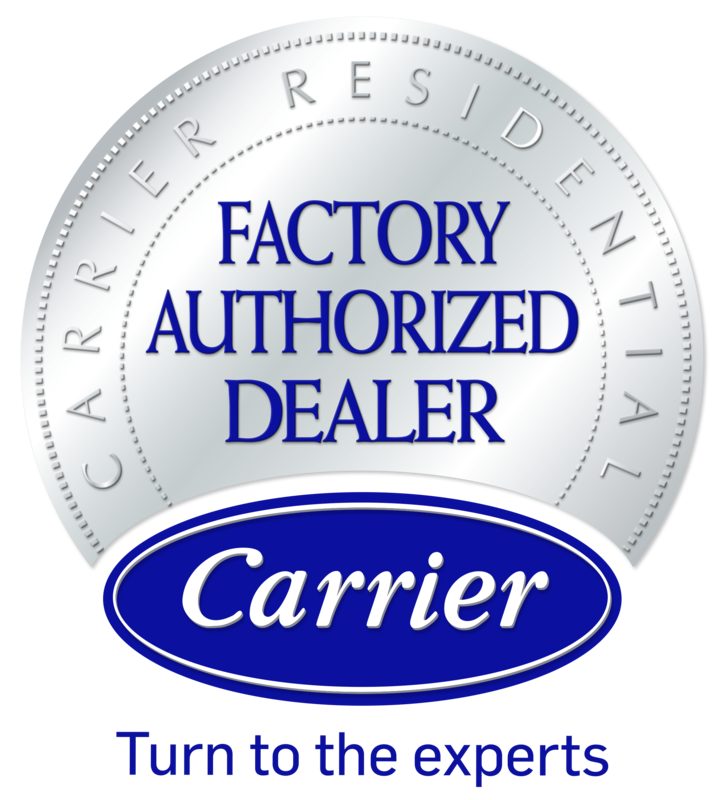 As a Carrier Factory Authorized Dealer, we are committed to providing superior cooling products and services. Our team of technicians has the product knowledge and hands-on experience to handle a range of makes and models for homes and businesses across the region. Contact us to schedule preventative air conditioning service, repair a malfunctioning unit, or install a brand new air conditioner. We also service and install heat pumps, ductless air conditioners, WiFi thermostats and more. Call now. Central Refrigeration is synonymous with quality. From the products and materials we install, to the services we provide, we focus on greater value from your investment. When your safety, budget, and everyday conveniences are at stake, don’t settle for anything less than Central Refrigeration for your electrical requirements in McKenzie & Camden. With a full range of expert services, we make sure you never need to call anyone else. Contact us at 731-393-4013 for the installation of standby generators, running circuits, overhead light fixtures, additional outlets, exterior illumination, and much more. Our licensed electricians arrive right when expected, prepared for the scope of the job, and follow your specifications. And our team remains on call for Emergency Services, 24/7, throughout McKenzie, Camden, Paris, Milan, Martin, Buchanan, Bruceton, Gleason, Dresden, Huntingdon, & Cottage Grove, TN. 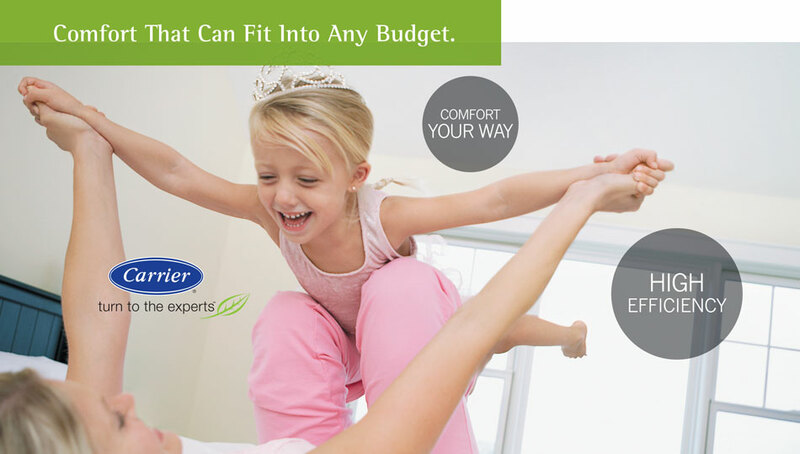 For optimum health, comfort, and energy efficiency, you depend on the quality of your indoor air. Whether you realize it or not, the air inside your home or business could be having a detrimental effect on the health of yourself, your family, or your customers. At Central Refrigeration, we provide professional services for all your indoor air quality problems. We’ll help you identify any issues and work with you to come up with the perfect solution. You’ll enjoy fresher, cleaner air, and save on energy usage and avoid unnecessary repairs or maintenance on your HVAC system. 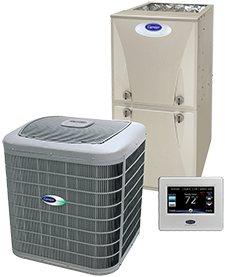 Start experiencing the home or business you deserve with indoor air quality services from Central Refrigeration! At Central Refrigeration, we always have your best interests in mind when it comes to your heating and cooling services. We not only provide high quality services and products, we also offer flexible financing options. To learn more about our financing solutions, give us a call today! At Central Refrigeration, we are dedicated to quality in every aspect of service. Established in 1965, we uphold a commitment to home and business owners in McKenzie & Camden to provide superior comfort, top value for every energy dollar, and solutions to every indoor challenge. We are family owned and operated with a third generation owner at the helm. With locations in both Camden and McKenzie, we’re extremely familiar with the issues that arise from local weather. At Central Refrigeration, we tailor our services toward long-term energy savings, dependable temperature control, and healthier indoor environments. We offer timely installation, maintenance, and repair of a wide range of heating and cooling systems, including heat pumps and ductless HVAC, and provide both residential and commercial HVAC service. Our licensed and fully insured technicians respect your property, time, and investment, taking every extra step to provide a rewarding beginning-to-end experience. Central Refrigeration is a Carrier Factory Authorized Dealer, a distinction that is not given, but earned by less than five percent of heating and cooling companies in the country. To meet Carrier’s strict criteria, our team maintains an unblemished record of customer satisfaction, based on surveys completed after in-home visits, and adhere to rigid requirements for insurance, liability coverage, EPA certifications, warranties, product training and installation and repair procedures. Through ongoing education and hands-on experience, our technicians are exceptionally qualified to recommend, install, and service state-of-the-art Carrier systems, bringing you the best products and workmanship available. Our NATE-certified technicians customize a system that is exactly right for you, ensuring year after year of cost-efficient, reliable performance. 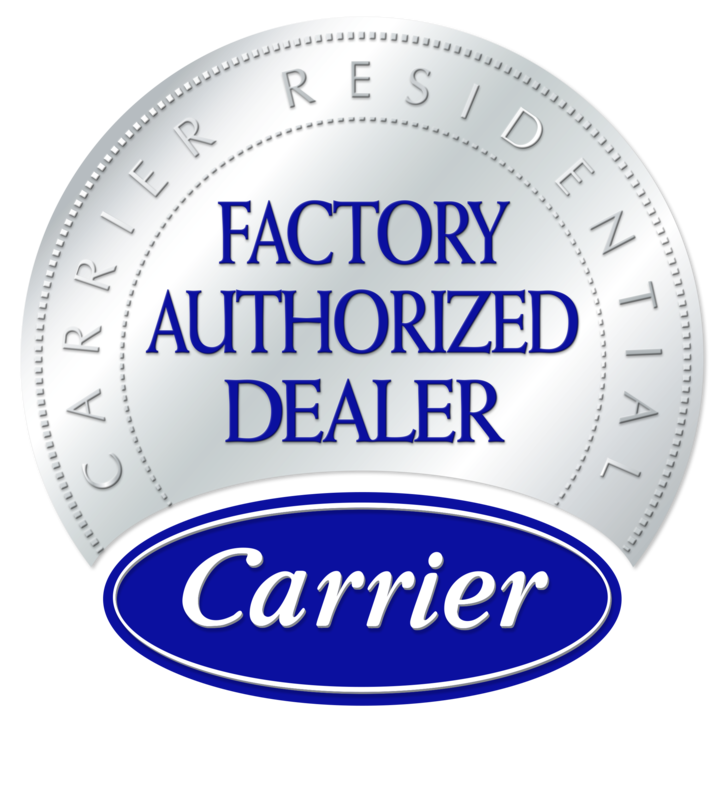 When you trust a Carrier Factory Authorized Dealer, your 100% satisfaction is guaranteed. For heating, air conditioning, and indoor air quality services, contact Central Refrigeration today! Proudly serving Paris, Milan & Martin, TN! At Central Refrigeration, we work tirelessly to meet your every requirement and exceed your expectations, striving to make 731-393-4013 the only number you need to complete your indoor comfort. Our services range from heating and cooling installation, maintenance, and repair, to Air Quality solutions, ductwork design and cleaning, custom sheet metal fabrication, gas line piping, and WiFi thermostats. Our commitment to home and business owners throughout McKenzie, Camden, Paris, Milan, Martin, Buchanan, Bruceton, Gleason, Dresden, Huntingdon, & Cottage Grove, TN doesn’t start and end with the regular workday. We recognize that hazardous, damaging, and uncomfortable conditions are not something you want to live with until Monday morning. Rest assured, our HVAC specialists are on-call and available to you, 24 hours a day, 365 days a year. Whether you’re in need of Emergency Service or regularly scheduled assistance, know that we protect your best interests with timely arrival, leading-edge equipment, quick turnaround, and cleanup after completion. By managing every project with an attention to detail and higher standard, Central Refrigeration brings you superior comfort. Central Refrigeration is a local business with two locations in McKenzie & Camden. 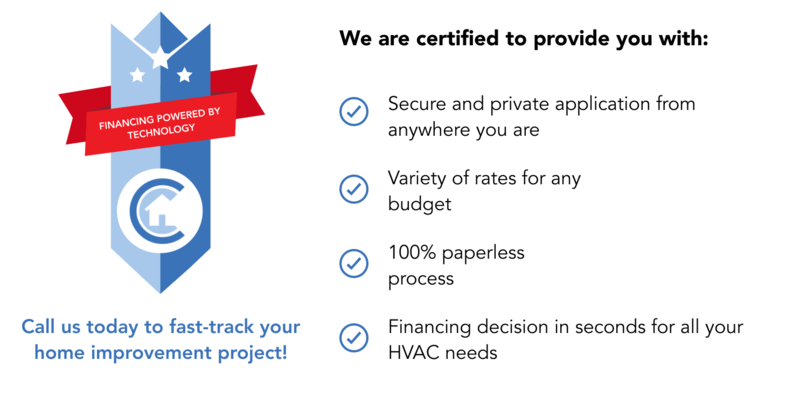 Our HVAC company stands by the quality of our work and the expertise of our certified technicians. That’s why, we offer 100% Satisfaction Guarantee on all new purchases and installations. Contact us for air conditioning and heating service, repair and installations in McKenzie, Camden, Paris, Milan, Martin, Buchanan, Bruceton, Gleason, Dresden, Huntingdon, & Cottage Grove, TN.